Schedule an appointment with your doctor before you go on your trip. Make sure you get a signed letter from your doctor stating that you have diabetes and what medications you are on. Make extra copies of this letter and have the letter translated if you’re traveling to a different country where the primary language is not English. Keep your diabetes supplies easily accessible at all times! 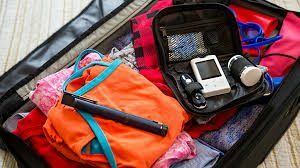 It might be tempting to keep your supplies in a checked bag so that you do not have to worry about getting through Security, but the cool temperatures at 30,000 feet are not ideal for insulin. 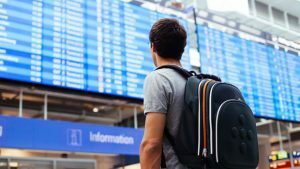 Flights can also get delayed or checked bags can get lost and you might need more supplies than you had originally planned to use during transit. Many airlines offer diabetes-friendly or vegetarian meal options. Visit the website of the airline you are flying before your flight to research whether they have a meal option for you and if so, request. Most airlines to not carry extra diabetes-friendly or vegetarian meal options if they are not reserved. If the airline does not offer these meal options, it is a good idea to pack a meal ahead. Traveling can have different effects on your blood glucose levels. Prolonged sitting during transit can cause your glucose to become elevated, while exploring and walking around could cause your blood glucose level to drop. Due to these changes in your activity levels, it is crucial to always test your blood sugar before and after meals. It is a good rule of thumb to pack double the supplies you might think you need. If you’re going for 2 days; pack 4 days’ worth of supplies. Always have both healthy snacks and sugary items with you! Raw vegetables and nuts are great options for healthy snacks that you can pack in your bag. Sugar pills and gummy bears are non-liquid, high in sugar items to carry with you in case your blood sugar drops. If you’re traveling to a non-English speaking country, it is a good idea to learn a few phrases in case you have a diabetes emergency and need medical help. Phrases such as “I have diabetes”, “I need juice” and “Where is the hospital” are good to learn or keep written on a notecard in your pocket. It is important that you inform the TSA officer prior to screening that you have diabetes supplies with you. Separating and labeling your liquids and medications can help speed up the process. In order to make getting through the airport a little easier, you can call TSA before your flight to let them know you are traveling with diabetes and they can offer you up to date policies and also let you know what you can expect when you arrive at the airport. The American Diabetes Association recommends that all people with diabetes wear a diabetes medical alert bracelet, especially when traveling. In an emergency situation, wearing a medical ID lets bystanders and emergency responders be aware of your condition and can ensure the proper care that you need. American Medical ID provides handcrafted, custom engraved medical ID jewelry. 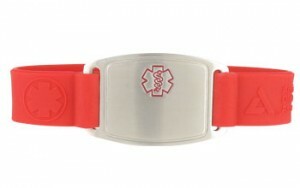 Find a medical ID that fits your style! AmericanMedical-ID.com. Do you have any other helpful tips for traveling with diabetes? Please share in the comment section! diabetes, diabetes tips, diabetes travel, travel, traveling with diabetes. Bookmark.